Full disclosure here: I work with the online creative education company, CreativeLive. This means that I have the unique opportunity to have access to the entire catalog of courses, which also means that I am uniquely positioned to be able to review and determine which courses provide the most value. Adobe Photoshop is a powerful and complex tool, and with CreativeLive’s Photoshop tutorials, you can learn how to take advantage of its complete range of features. Each of their excellent Photoshop tutorials features an expert instructor demonstrating advanced techniques for working effectively, efficiently, and creatively within Photoshop. Don't have Adobe Photoshop yet? Click here to get a great deal on Photoshop CC. Photoshop lets you bring out the best in your photographs, and expert Ben Willmore will show you how to use Photoshop’s most important features. By working through real-world projects and explaining the process, you’ll get to know the Photoshop interface and learn about the features you’ll use the most often. This class will take you through the basics of the Photoshop program – teaching you easy editing tips and tricks you can use. You’ll master the basic functions and learn how the system operates. Khara will show you where the functions are, how to switch between them, and get them out of the way when you're done. Layer Masks are one of the most essential tools for anyone who works with multiple layers in Photoshop. You’ll explore how blending modes and various adjustments can make editing Layer Masks much easier when working on complex images. Whether you’re a Photoshop beginner or a pro, the tools you learn in this tutorial will make your images even more incredible. Photoshop is a sophisticated program, but even the most inexperienced beginner can quickly learn the basic features and start retouching images to bring them to the next level. In this course you will cut through the technical jargon and complex interface to show you the features that you need to get started. Have your images looking great in no time. Blend modes are one of the most powerful game-changing creative tools in all of Photoshop. Blend modes effect how two layers blend together or how certain tools interact with your pixels. For more control in Photoshop and breath-taking creative results, you will be amazed at how blend modes will change the way you use Photoshop and its capabilities. This is really a game changer! Compositing allows you to bring the vivid images of your dreams to life. Join Aaron Nace for an exploration of the artistic and technical steps that are essential to creating stunning composite images. This course will teach you everything you need to know to visualize and produce complex visual pieces of art driven by your imagination. Learn some of the best-kept Photoshop secrets for amazing image results. These in-demand techniques will make your work look current and cutting-edge. Special effects, color treatments and other Photoshop secrets are what this course offers. You will learn some great techniques that will open up a world of creative expression. 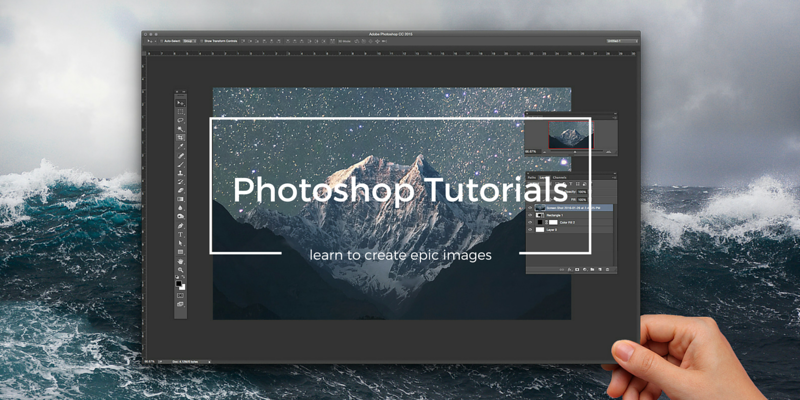 Ready to take your Photoshop skills to the next level? This three-day course offers the techniques that separate the novices from the pros. By the end, you’ll have professional-level Photoshop techniques that will set your work apart from the rest. Join Adobe expert Dave Cross for a course that will transform your image editing workflow into an efficient, 'smartflow' system. Discover how a non-destructive editing process can help you to be more accurate, creative, and efficient. Presets are an essential part of a smartflow, learn how to efficiently create and leverage them to utilize the full range of Photoshop features, including adjustment layers, smart objects and filters, templates, camera raw smart objects, and much more.